Gerald, Rammy, and Anais discuss the classic parable ¨The Gift of the Magi¨by O. Henry. Our podcast typically doesn’t love parables, which Rammy insists on submitting. However, Gerald appreciated the twist and Anais was won over by a quirky narrative style. Truth be told, it was refreshing to read a wholesome story. 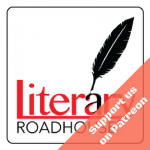 Gerald, Rammy, and Anais discuss “The Adulterous Woman” by Albert Camus, a stirring story about a woman’s mid-life yearning for freedom from the trappings of a comfortable, unfulfilling life. The story takes place in Algeria before the war of independence from France, and features a French couple moving through the Arab interior. The stark imagery and deep internal musings make the story a satisfying read. Happy New Year! We’re still off this week and will return next week with a brand new episode. This week we’re replaying an episode from our archive. We picked this story because it’s one of our favorite discussions to date. This week we discuss Year’s End, a story about a young Indian-American college student who must once again process the death of his mother after an announcement that his father has re-married several years after his mother’s death. This story sparked some great discussion on pain, clichés and culture in literature. Merry Christmas or Happy Holidays! We’re off this week and next, but we still want to bring you great literary fiction. This week we’re replaying an episode from our archive. We picked this story because it’s one of our favorite discussions to date. What in the world did Gerald make us read! This story left Rammy feeling blah, and both Anais and Gerald loving it. During the conversation Rammy piped up with an interesting take and then Gerald added to it with information from an interview the author did years ago. That extra information left Maya incensed! Great discussion, tons of laughter and the most NSFW discussion we have ever had and worth every second. Gerald, Rammy, and Anais discuss “A Sound of Thunder” by Ray Bradbury, a brilliantly visual story that sets the pace for an entire genre of plot structures, and explores a theme of man v. nature v. time. Man’s hubris is put to the test with dire, unintended consequences. Gerald, Rammy, and Anais discuss “The Bet” by Anton Chekhov, a deceptively simple story. Through discussion, our hosts discover that the moral of this story is buried deep in the narration’s point-of-view, in the rambling letter of a mad man, and the hypocrisy of a greedy would-be murderer. Gerald, Rammy, and Anais discuss a very short story called “Birdsong” written by renowned Indian author Jahnavi Barua. This discussion will give aspiring writers a lot to chew on. Our hosts marvel at Barua’s writing craft, and her talent for guiding mystery, tension, and mood. Interestingly, Gerald and Rammy were confused by the ending, which Anais absolutely loved. Did the ending leave you confused or enchanted? 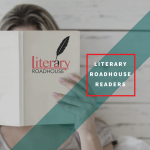 This week the Literary Roadhouse welcomes guest Tim Weed, an author whose short fiction collection, A Field Guide to Murder & Fly Fishing, made the 2018 Eric Hoffer Book Award Grand Prize Shortlist and was a finalist in the short story category for the American Fiction Awards and the International Book Awards. in Literary Hub, The Millions, Talking Points Memo, Colorado Review, The Daily News, The Writer’s Chronicle, Fiction Writers Review, and elsewhere. He teaches at GrubStreet in Boston and in the Newport MFA in Creative Writing. He’s the co-founder of the Cuba Writers Program and works as a featured lecturer for National Geographic in Tierra del Fuego, Spain, and Portugal. To learn more about Tim, visit his website at timweed.net. Tim suggested we read “Roman Fever” by Edith Wharton, and we couldn’t be more grateful. All four hosts dive deep into this story that’s smart, gripping, and instructional on how to structure a great story with an omniscient point of view.